The Assassin from Salomon is a completely new board being introduced for 2014. The purpose of this board is to replace the Grip, a board that destroyed powder and everything in between. Here’s how it stacked up. Camber Option: Rock Out Camber. Camber under foot into rocker in the tips so when it’s weighted it’s like a reverse camber. Conditions: They reported nine new inches of fresh powder but it was more like 16 in spots. The day before had been real warm and wind scoured which made for a nice firm bottom under all that light snow. Flex: It’s stiffer through the cambered section then softens up in the tips. 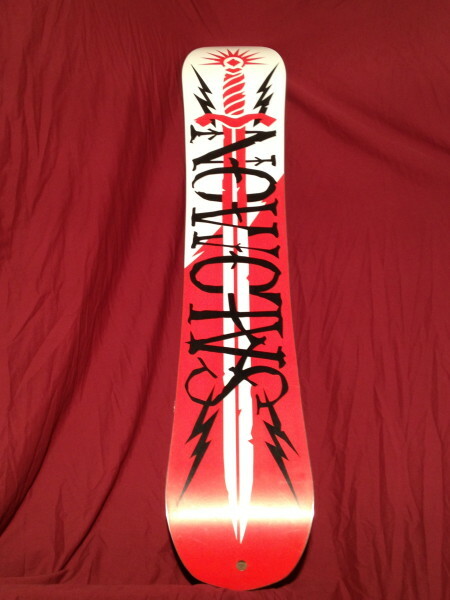 This board is the combination of the Sick Stick and Villain which makes it stable yet playful for powder freestyle. Over all the flex is a bit more aggressive for charging harder especially in the backcountry. Stability: Getting into the choppy terrain under the snow put this board to the test. Flying down a pow run out from a 15 foot drop through frozen moguls of death the board didn’t buck me and the level of chatter under foot was minimal. This is probably due to the cork in the sidewall. Ollies: The board has some snap in it. Adding camber into a rocker like this you can load the camber causing the rocker to initiate and pop much like a skateboard. Pop On Jumps: I got to send one jump with it and it was awesome. This board is built for BC booters and powder freestyle. Butterability: The flex in the tips lets you get over the board when playing around with a butter. You do have to be on top of your game to get the camber to load the way you want. Over all not a 100% butter friendly board but still do able. Jibbing: Yeah it was a pow day I slashed the side of the jibs instead. Carving: With the Equalizer sidecut you can dig it in and lay a hard carve. 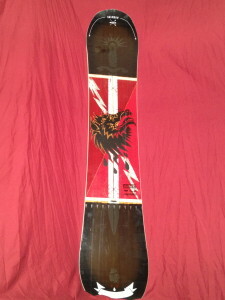 This board locks in and rips through terrain without getting washed out when you center flex the board. 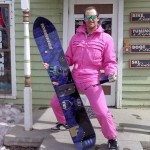 Rider in Mind: Powder hound that still likes to get down with some freestyle. Personal Thoughts: This board basically replaced The Grip a deck I’ve owned. While I’m sad to see it go this board makes up for that ones short comings with edge hold and stability on hard pack. Although I’m not a fan of camber the combination this one has for the type of terrain it’s designed for is perfect. Disclaimer: This board was loaned to us from Salomon Snowboards Rockies rep.
Would you say the flex on this board in terms of stiffness is pretty similar to the Rossi One Mag? I would say it’s a little stiffer in the tips actually. I like the sound of this board, sounds right up my street. Feel kinda torn between this and the 2014 Rossi Angus, would be interested in comparisons if anyone can help? I like quick edge to edge, dampening, less chatter and a light weight board for some points to weigh against each other. How would everyone compare the Salomon Assassin to the Salomon Villain. They have EXACTLY the same features except Assassin has Cork Rails, ABC Greenroll (Bamboo), Popster Eco Booster (Bamboo) and supposedly a 5 flex vs 4 flex. NOT A PARK RIDER, just want a good cruiser all-mountain board. Boxes and natural features if i like. Riding a 156 Mans Board and a 153 Gnu Space Case, Union Atlas Binding (maybe a Union Contact/Force as well), 2012 Burton SLX (stiffer) and a 2012 Deluuxe (Mid-stiff) boot. 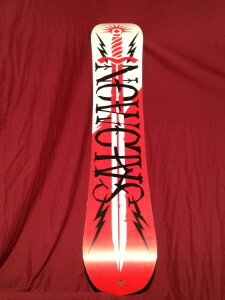 If you already have a sick stick i would get a villain, it is an amazing board, i ride it all over as fast as i want in less than six inches of fresh, then the pow deck comes out. I’m trying to decide between the Assassin 157W and the Villain 155W (maybe even the flow shifty 157 but the graphics are weird). I want a board for mostly groomers and progression in jumps (probably no jibs). I’m worried the Villain may be too soft for when I’m just riding fast with friends, but also worried that the Assassin might be too stiff for low speed messing around and edge hold with the shorter effective edge (by about 3.5cm). I had a cambered flow quantum 155 for a while that was super fun at speeds but way too much work when I was going slow, and also a cambered Rome Manual 156W which is fun but is slow with the extruded base. I’m from the ice coast, 5’10 165-175, 10.5 boots. Any advice? Salomon Time Machine might be what you’re really looking for. Also you don’t need a wide with that 10.5. You don’t think the cross profile on it has too much rocker in the tip/tail? I’m a big fan of camber. I honestly don’t. If you’re worried about it though then I’d look elsewhere. Nah I’ve been reading more and apparently it feels very camber. It’ll def be a contender now. Thanks for the help. I have a Grip from a few years back. I am thinking of getting the Assassin. Worth it? I never felt the Grip had that much “grip” on hard pack. Are you saying the Assassin is an improvement in the area of grip? The Grip didn’t have any grip because it’s effective edge was like 10cm’s. This has WAY more edge hold on groomers. Check it out if you want an upgraded Grip. finally decided this might be the board for me…. but now stuck on what size… I’m 5ft 8/9 and about 180kgs… really like to charge hard and fast on groomers and pow… also like quick turns in trees, hitting jumps also. Torn between the 155 and 158… (wish they did a 156 or 157)…Any thoughts? Do rocker camber rocker boards ride longer or shorter than their size compared to old style camber only boards? (currently have 154 camber from 1997)? Get the 58. As far as over all length there’s so many factors that effect it now it’s better to just not think about it and ride. Thanks Angry sorry meant 81/82kgs ….. 180lbs!